Heldeen Steel was founded in April 2001 in Durban with a vision of providing sound engineering and a total system solution for fabrication to the specific needs of its clients. The Company offers excellent technical knowledge, a professional service and specialises in on-site consultation and troubleshooting. 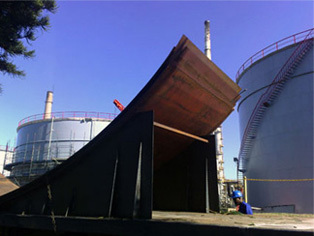 Solutions are provided to the challenges of converting steel plate into marketable products; all kinds of projects are handled from the smallest contracts, manufacturing of items, to modifications. 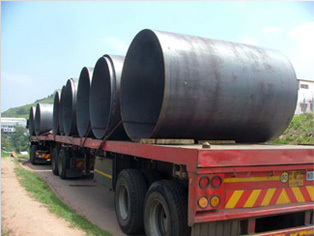 Heldeen Steel focuses on client service, speedy delivery and attending to every detail. We work together with our clients to ensure their product fits to perfection - every time - and are committed to constantly exploring new ways to improve levels of performance and so deliver a job well within the time required by the customer. The Company's project-management system ensures a high level of control over all the stages of a project, from conception to the hand over of a job to the Client. We seek a Win-win solution between the company and the Client. Cost and time overruns are minimised by timeous management techniques such as risk assessment from the outset of the project. Special client requirements and preferences are readily accommodated. Reduced project duration and efficient delivery are top priorities. A long term platform for meaningful collaboration is established by effective teamwork between the Client and the Company. The Company is addicted to making a difference and although we understand the need for planning, we stay flexible to accommodate changing circumstances and the need of the moment. Heldeen Steel continuously strives for integrity and realises the greatest achievements have always been accomplished by groups rather than individuals, therefore we employ, train and upgrade enthusiastic, people whom we have identified to improve them and their futures. 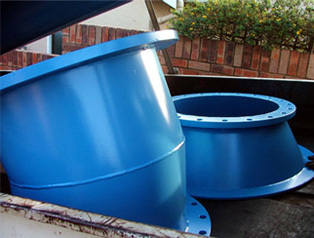 Heldeen Steel are the leading suppliers of Shutz Flow Bins in Southern Africa.